Protecting your Android smartphone or tablet against viruses, malicious software and theft is a top priority, especially if your device contains sensitive data, such as your bank details, passwords and other personal information. There are many apps (applications) on the market that offer basic security features to help protect your device and your data, but choosing the right app can be a difficult decision, as most apps provide a variety of additional features. 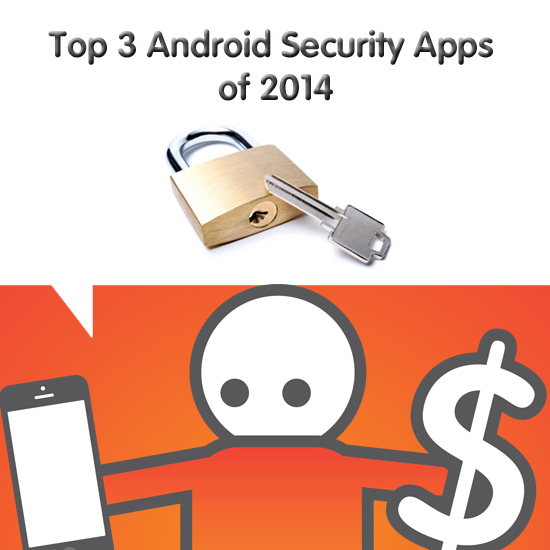 If you are looking for a simple way to protect your Android smartphone or tablet, consider installing one of the top 3 Android security apps of 2014. Avast offers a range of security tools to help protect your device against viruses, malware and theft. 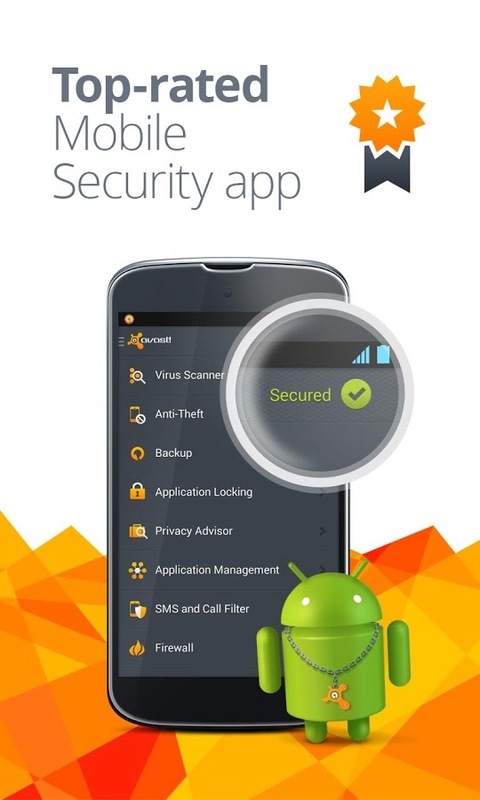 Avast Mobile Security and Antivirus is available as a free app, although some of the more advanced features are only available if you upgrade to the premium version. You can purchase the premium version for a monthly or annual subscription fee, which currently costs £2 per month or £12 per annum. As with most antivirus applications, you can schedule periodic scans of your device to check for viruses, malicious software and other threats. You can also use the call blocking facility to bar calls and text messages from specific phone numbers. In addition, you can benefit from advanced anti-theft tools. Avast anti-theft tools can be installed on your smartphone or tablet and used to locate your device. If your device is stolen, you can use remote commands to take a photograph of the thief, make an audio recording of the environment or sound an alarm on your device. Avast Mobile Security and Antivirus also includes backup tools that enable you to make copies of your photographs and files, which can then be backed up to your Google Drive. 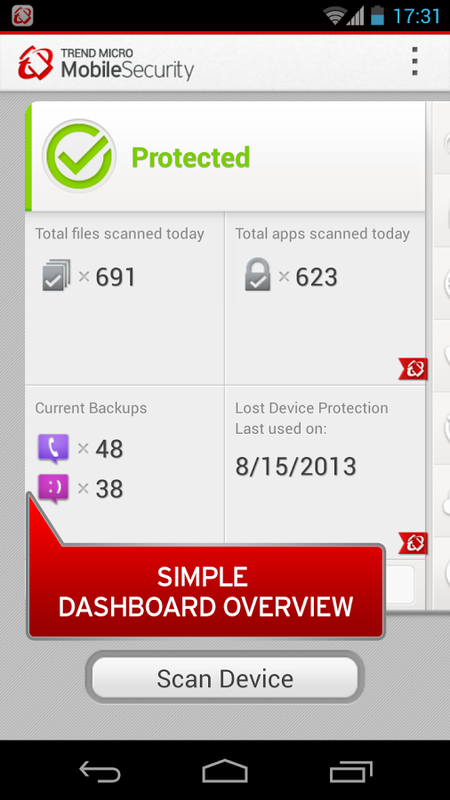 Trend Micro has a long history of providing advanced security and antivirus products for computers, making the Trend Micro Mobile Security Suite a popular choice for those wanting a trusted security application to protect their Android smartphone or tablet. The basic security app is available free of charge. Alternatively, you can upgrade to the premium version for an annual subscription fee, which currently costs £14.95 per annum. In addition to providing effective protection against viruses and security threats, the Trend Micro application prevents you from accidentally visiting websites included in phishing emails. You can also use the Parental Control feature to set up extra protection for your children. The anti-theft features included with the Trend Micro application allow you to locate, lock and wipe the data from your missing device. Using a remote command, you can choose to perform a full factory reset or simply delete the personal data from your device. In addition, you can add specific phone numbers to a blacklist, which means that all calls from the selected number will be automatically rejected. The Kaspersky Internet Security for Android application is available for free, although extra features are available for an annual subscription fee of £9.99. The Kaspersky application offers protection against viruses and malicious software, with periodic file scanning and full browser protection available with the premium version. The Call Blocking feature allows you to bar calls and text messages from specific phone numbers. In addition, the Privacy Protection feature enables you to add extra protection to the contacts in your address book, preventing unauthorised access to your stored contact details. 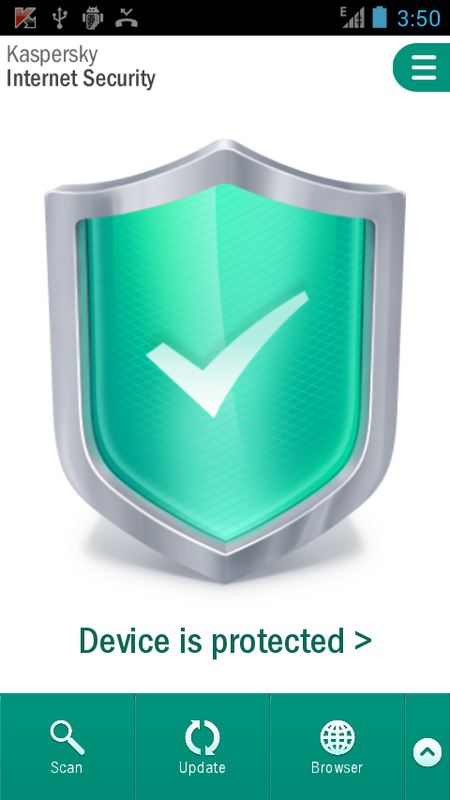 The Kaspersky Internet Security application also provides extensive anti-theft tools, which enable you to send remote commands by text message or from your computer. Using the anti-theft commands, you can locate, lock and wipe the data from your smartphone or tablet. Most Android security applications provide basic security tools free of charge, with a premium version available for more advanced tools. While basic security tools are usually sufficient for most personal Android devices, premium tools can offer extra protection for those worried about the safety of their personal data.